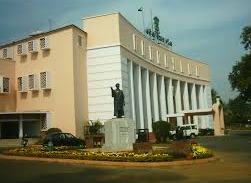 Bhubaneswar, Feb 19: The budget session of the Odisha assembly will be held in two phases from March 15 to May 20, an official said on Friday. The annual budget is to be presented in the house on March 18, an official notification here said. The first phase of the session will be held from March 15 to March 31 and the second phase from April 26 to May 20. Overall, the budget session is to have 33 working days. Notably, the state government has decided to table its budget after the union budget. Since the revenue-sharing pattern has been changed after NITI (National Institution for Transforming India) Aayog came into effect, the state government would introduce the budget after knowing the share of the state from central budget.